Brian McGee is Provost and Executive Vice President of Academic Affairs at the College of Charleston. A tenured member of the College’s faculty since 2004, he is a professor of communication, a member of the graduate faculty and a faculty associate in the Women’s and Gender Studies Program. McGee’s research covers political rhetoric, argumentation and communication about race, ethnicity and gender. He has had numerous publications in academic journals, like Argumentation and Advocacy, Southern Communication Journal, Western Journal of Communication & Women’s Studies in Communication. He has served on several editorial boards, is a former editor of Contemporary Argumentation and Debate, and previously was a division chair for the Southern States Communication Association. He has provided expert commentary on political campaign communication for the leading television and radio news outlets in the Charleston region. Kevin Gillett was born and raised in Battle Creek, Michigan. He studied music education for 3 years at Andrews University in Berrien Springs. At the age of 21 he joined the US Navy as a Nuclear Electronics Technician. Kevin ended his career in the Navy in Charleston, living in Summerville, SC for the last 25 years with his wife, Patti, and three children. While working at Robert Bosch, LLC he found an old newspaper advertisement for a local barbershop chapter and has been singing ever since. 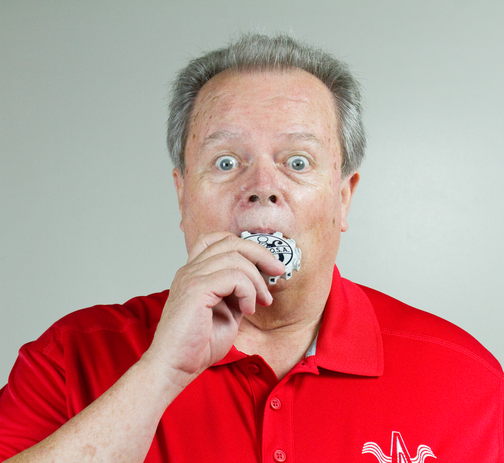 Kevin has held all chapter offices in the Charleston Barbershop Chorus and currently serves as the chorus' director. When the Palmetto Vocal Project formed he became a charter member. He has also been a member of The Fort Sumter Tag Company which competed in the Dixie District, first singing baritone and then switching to lead. He is the tenor of the quartet Infinity, and has competed several times with them in the NSC district, winning second place honors in 2015, along with winning most entertaining quartet. 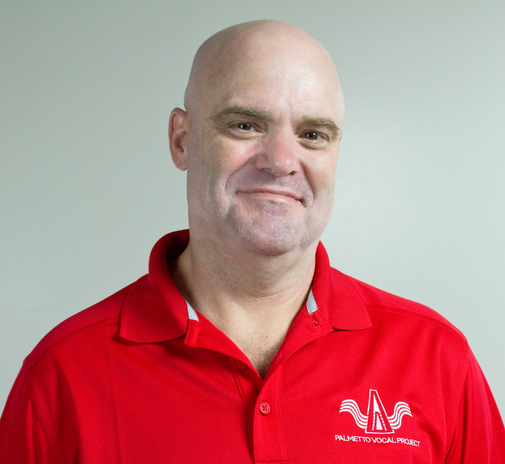 When not singing and directing, Kevin works at Boeing as an Equipment Maintenance Technician and enjoys spending time with his wife, children and grandchildren. David Koppenhofer grew up singing in church and various school choruses, but got his first taste of Barbershop harmony via a short-lived men’s a cappella group in high school. He sang for 5 years with a mixed chorus called Choral Union while pursuing a BA in Computer Science and Math. After having 4 kids, an MS in Information Systems, and an 18 year hiatus, the memory of that high school group drove him to find the Palmetto Vocal Project in late 2015. The camaraderie and 4-part harmony instantly hooked him, and he’s been with PVP ever since. David works at home for Ferrilli, a company specializing in computer services for Higher Education. In addition to singing, he spends his spare time tinkering with computers and software, as well as practicing yoga with others in local breweries. Richard Harris was born in Rocky Mount, North Carolina in June, 1951, and moved to South Carolina in 1995. He lives in Summerville with his wife Judy, and has two children, Sky and Sagan. Richard has a degree in Recreation from NC State and has worked for the US Army for 35 years. ​A life-long singer, Richard joined the Barbershop Harmony Society in 1991 at Hagerstown, MD and has been lovingly performing 4-part harmony as a hobby ever since. His only regret is not starting sooner. He has been in numerous quartets over the years, and is currently the tenor two groups; Shrimp’n Grits and Revival. Richard is a triple member of Palmetto Vocal Project, the Charleston Barbershop Chorus and the Wilmington, NC Cape Fear Chordsmen. He also serves as Secretary for the BHS Carolinas District. ​His children sing barbershop as well, having learned at early ages when their father would sing them ballads in the form of lullabies when he practiced his vocal parts. Nothing makes him happier than being able to sing with them as adults. Jim Ford was born in Pittsburgh, PA and graduated with a BS in Business Administration from Villanova University. He worked for Armco Steel from 1970 until 1983 before starting his own own company, Commemorative Distributing, Inc., and entered the Golf Industry. He retired from TaylorMade adidas Golf in 2013 and moved to Mt. Pleasant, SC with his childhood sweetheart. He has three children and four beautiful grandchildren. 2018 will be his 20th year as a member of the BHS. Prior to joining PVP, Jim sang with a quartet called “the Suburbanites” and was the President of the Bryn Mawr Mainliners in Exton, PA. (of which his father was a founding member). He is currently on the lookout for a promising tenor to join a new quartet. Phil Wilcox was born and raised in Huntington, West Virginia, where he earned a Bachelor of Fine Arts degree in Acting/ Directing at Marshall University. While enrolled at Marshall, Phil was the founder and baritone of the barbershop quartet, Heritage Station, the 1993 Collegiate Barbershop Quartet Champions. Phil and his wife, Julie, moved to New York City shortly after graduation and spent the next 13 years in Manhattan pursuing careers in the arts. In NYC, Phil founded and served as President and Choreographer of Voices of Gotham, an award-winning a cappella men's choir. Phil also served as Bass Section Leader and Choreographer of the Big Apple Chorus. As an actor, Phil has performed in theatres across seven states (Off-Broadway and Regional Theatre) and is a proud member of Actors Equity Association and Screen Actors Guild. Another of Phil's quartets in New York City, Highline, appeared at Carnegie Hall and in the feature film, Handsome Harry, starring Steve Buschemi, Aiden Quinn and Campbell Scott. 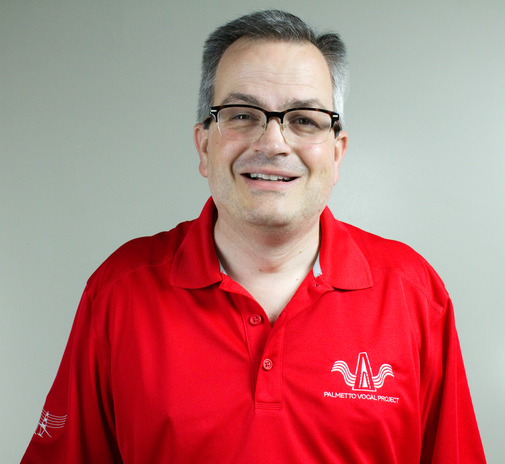 ​When he's not singing, Phil is employed at Verge Solutions, a software company that provides healthcare organizations nationwide with services for quality improvement, accreditation, and medical staff credentialing. Mike Garand was born in Edmonton, Alberta Canada in 1989. He was raised in British Columbia until he and his family moved to the United States in 2003. He lives with his wife, Kendrea, who was President of Charleston's Sweet Adelines International group, Southern Harmony Chorus. With a B.Sc. in filmmaking, Mike has established numerous credits in the film industry including those of writer, director, and editor. Between his own projects, Mike has been honing his craft by overseeing production departments on the sets of award winning short films, series, music videos, and features as a script and continuity supervisor. Ever since he was a young boy, Mike has been onstage. With a substantial background in the theatrical and performing arts, as well as life-long passion for music, he has received superior accolades in state and international competitions. Mike performs as a solo artist and was the lead vocalist in the Canadian band, Apollo Votary. He has been singing in choral and a cappella groups since he was seven years old, including a performance at NY's Lincoln Center in the 2007 International Championship of High School A Capella. In 2014, Mike joined Palmetto Vocal Project and was instantly bitten by the 4-part harmony bug. He hopes to not only remain a lifelong member of the Barbershop Harmony Society, but is excited to contribute to its evolution and future. 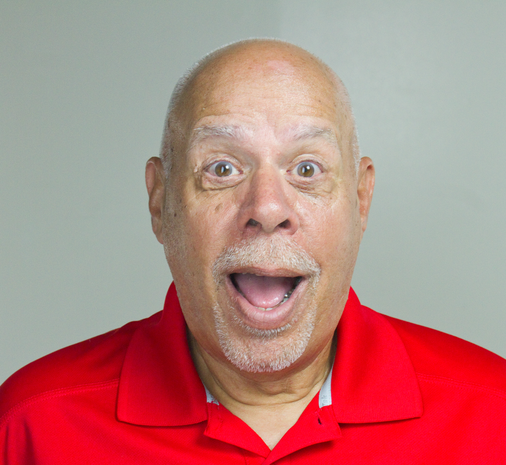 Mike (Mikey) Mancuso has been a member of the Barbershop Harmony Society since 1995, when he began singing Lead with the Singing Buckeyes Chorus, of the Johnny Appleseed District, in Columbus, Ohio. ​Although he sang Lead for 10 years in both the Buckeyes and a few quartets, he switched to Baritone with the formation of Legal Limit quartet in 2005, and continues to enjoy singing Bari to this day. In 2007 Mike began singing with The Alliance of Greater Central Ohio Chorus, and has competed in the International Chorus contests many times over the years with both choruses, finishing as high as 6th place for 3 consecutive years with The Alliance before moving to South Carolina in 2010. After moving, he became one of the founding members in the formation of Palmetto Vocal Project and was the first President of the chapter.